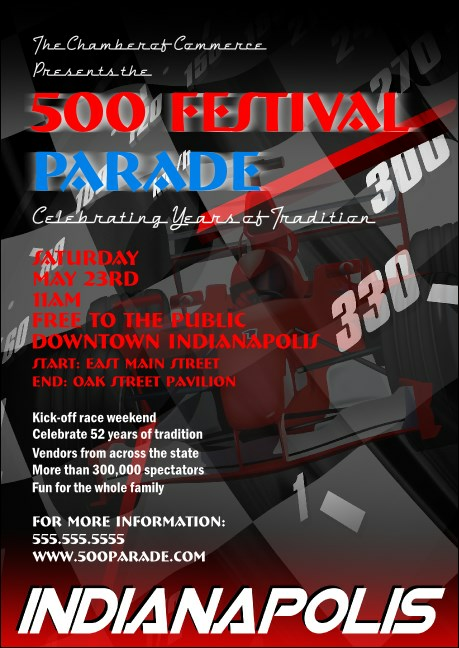 For an event as full as the stands at the Indy 500 start by creating a buzz with the colorful Indianapolis Club Flyer! Your information and custom image share space on a red, white and blue background with a speedometer and racecar! When they see this, your guest will be ready to zoom over to your next event! Ready for more great promotional materials? Check out the matching event kit at TicketPrinting.com.